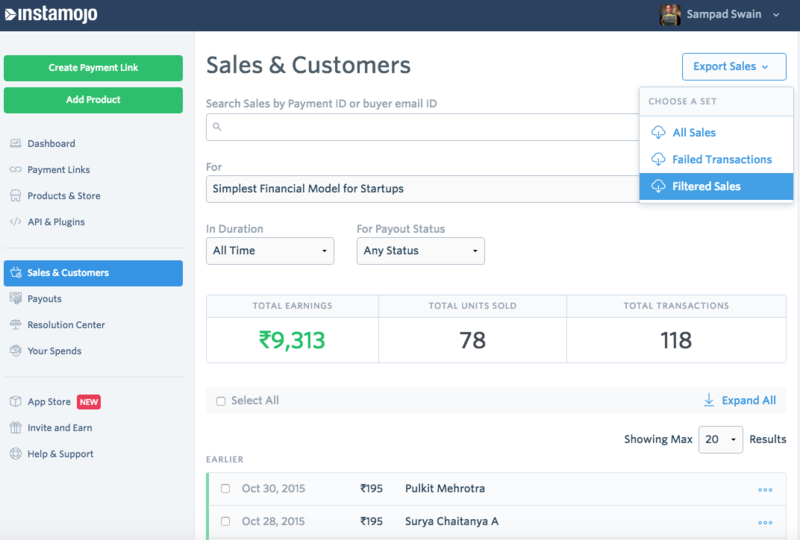 How to view your sales report from Instamojo dashboard with Variants and Custom field? When you log in to your Instamojo account, you can see your dashboard. 1. Select the particular Product link for which you would like to download variants. 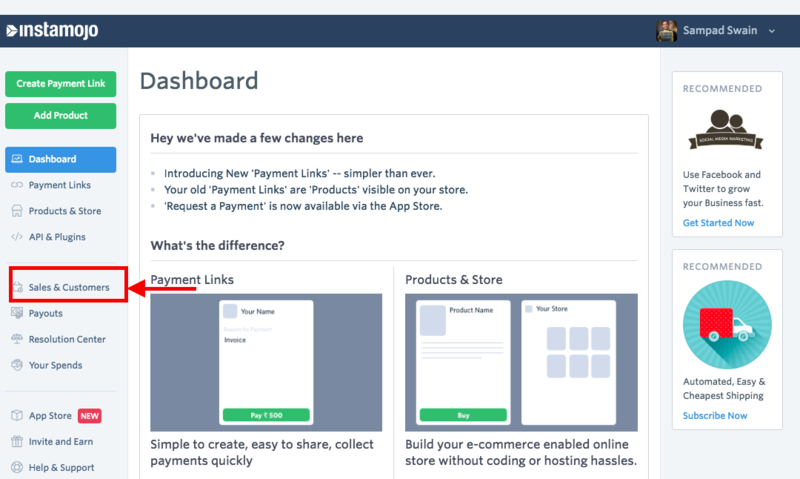 Select the link from the drop down menu. 2. 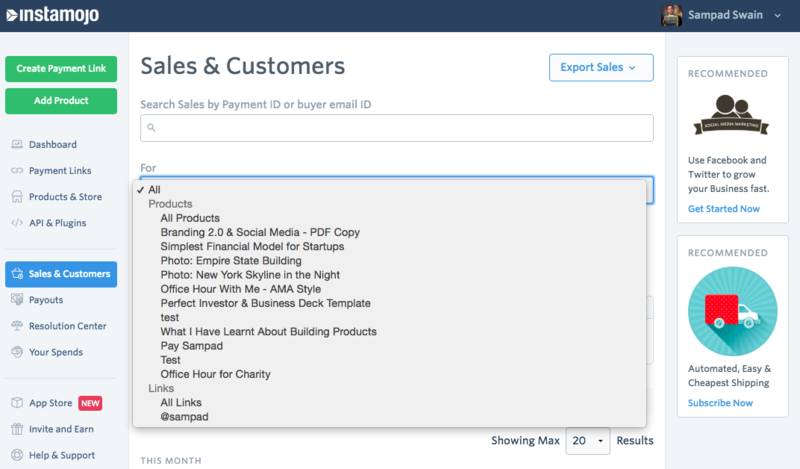 Once you select the link you need to click on Export Sales(Filtered Sales). This will export the data with variants and custom field also if you have added any.